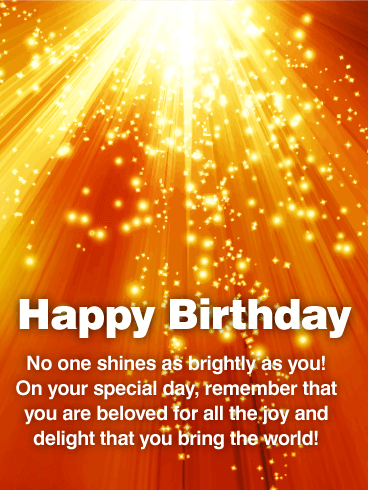 Happy Birthday - No one shines as brightly as you! On your special day, remember that you are beloved for all the joy and delight that you bring the world! Nothing says happy birthday like a multi-layered, fluffy red-velvet cake, covered in layers of delectable icing and sprinkled with confetti and candles. The recipient of this birthday card will be half-tempted to blow out the candles before realizing that it's simply a birthday card! This classic, tasteful (and tasty!) 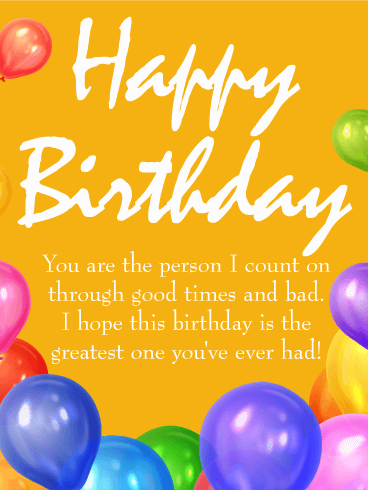 birthday card will make sure that your loved one knows how much you care! If you have a cake lover in your life, then what better way to celebrate their special day than with a four-layer yellow cake, dripping with chocolate fudge icing, vanilla piped frosting decorations, and topped with wish-granting candles? Your sweet-toothed someone will be so excited to celebrate their birthday with this confectionary card. And no birthday is complete with a honeyed rhyme, assuring your loved one just how special they are to you. The best friends are those that we can play and joke around with. 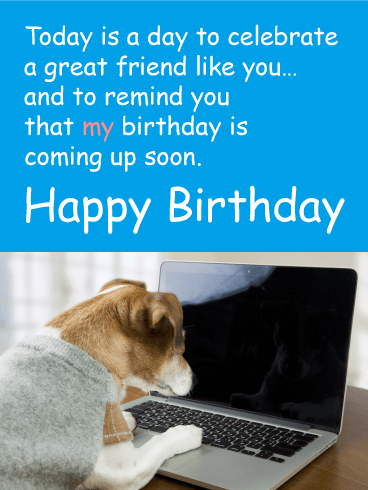 On your good friend's birthday this year, use this hilarious Happy Birthday card to bring laughter and fun to their special day! With this playful funny birthday card, you can add some hilarity and smiles to their celebrations and show them how close your friendship is! 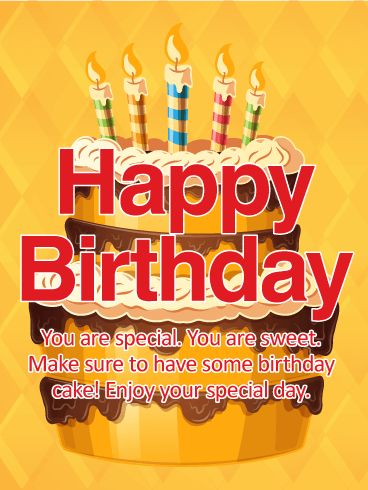 Send this funny Happy Birthday card today! Every birthday that passes marks another year that you get to spend with your loved one. 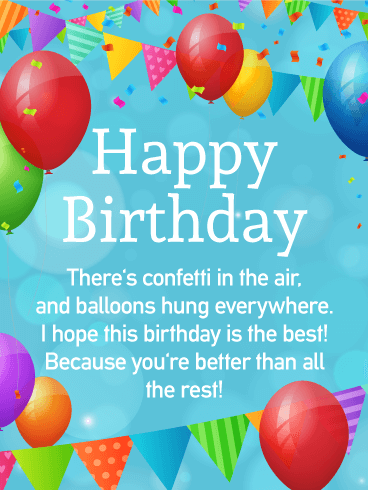 On your friend or family member's birthday this year, send this funny Happy Birthday card to add laughter and fun to their special day! Celebrate another trip around the sun and wish them an "eggcellent" year for the months ahead. 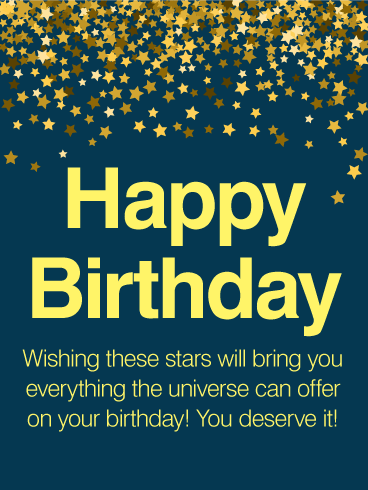 Send this Happy Birthday card today! Balloons are a classic, time-honored way of celebrating birthdays. 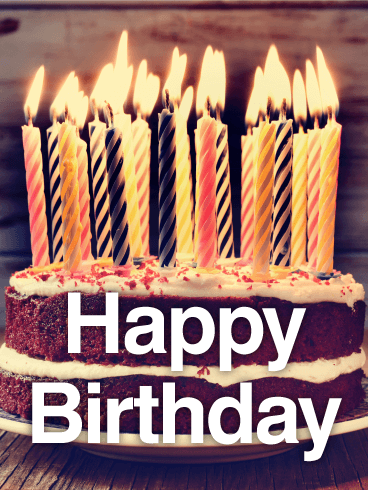 No birthday is complete without them, so make sure to send this birthday card when celebrating! 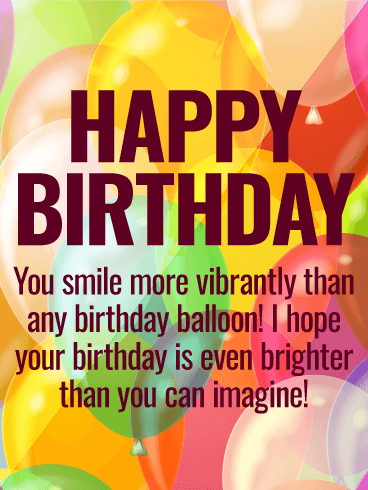 Covered in cheerful and vibrant colors that are as lively as your loved one, this card is sure to grab the attention of your birthday friend, while a clever verse explains just how important they are to you. Who was it that said yellow is the happiest color? Well, this birthday card is certainly a happy celebration of your loved one's birthday! For someone who has been there through the best and worst times, you need a way to demonstrate and explain just how important that person is in your life. Complete with a bunch of jewel-toned balloons, this card will do just that! Vibrantly-colored balloons, cascading confetti, and jauntily-hung streamers across a light blue background! 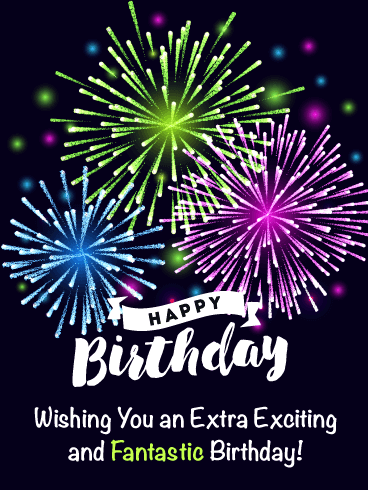 What a better way to show an important person in your life that you are excited to celebrate their birthday that with a birthday card that has already begun the festivities! With a catchy rhyme that is bursting with enthusiasm, this birthday card is sure to put a silly grin on anyone's face. 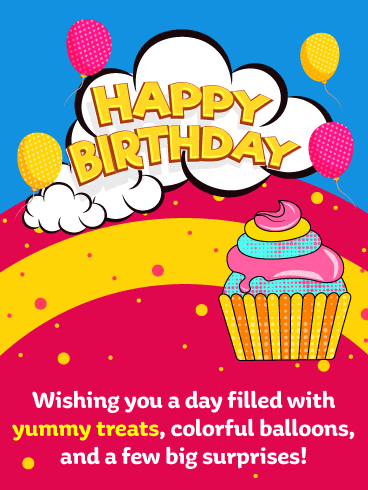 The happy birthday wishes on this birthday card are surrounded by bright balloons, just like you will want to surround the important person in your life with friendship, love, and joy! 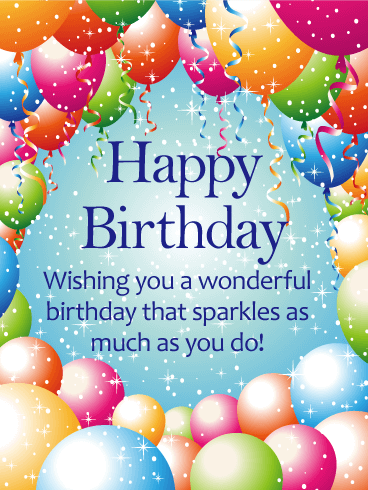 The top of this birthday card is covered in confetti that dissolves into glitter as it falls to the bottom, sparkling as much as the person whose birthday it celebrates. There's no better way to get a birthday party started! Do you have a friend who loves cute animals and hilarious puns? 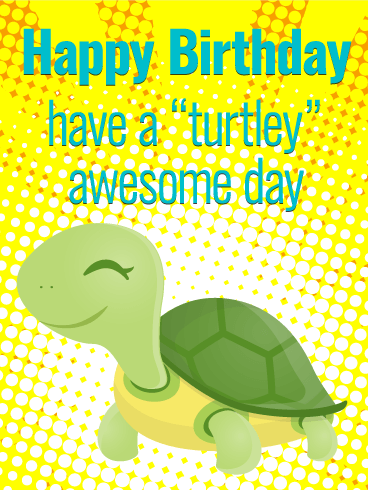 On their birthday this year, use the adorable turtle on this Happy Birthday card to wish them a "turtley" awesome day! Make the most of your friend's special day by celebrating their life and everything you love about them. 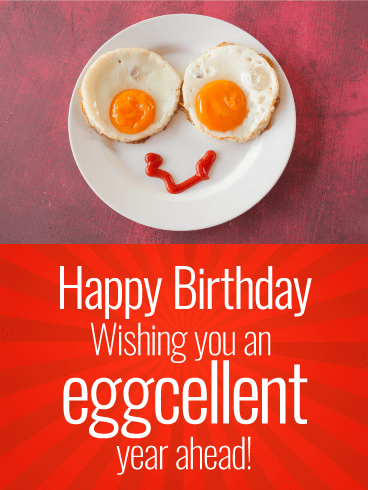 Don't be shell-fish, send this funny birthday card to celebrate's your loved one's birthday today!